Bridge of Allan lies three miles north of Stirling and two miles south of Dunblane. A longtime feature on the main road north from Stirling, Bridge of Allan was bypassed by the northern section of the M9 in 1971: it was only two years later in 1973 that the bypass became linked to the rest of the M9 from the south. 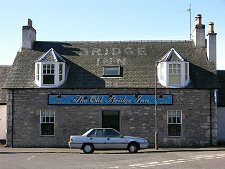 Bridge of Allan was a late developer. A bridge was built over the Allan Water here in 1520 to carry the main road from Stirling to Perth. At around the same time a copper mine opened in the hills to the east. In the mid 1700s there was still only a tiny settlement around a mill and a couple of inns here when the bridge was used as the starting point for the military road to Callander and Fort William. Textiles were being produced in the area in the 1700s, and the copper mine was considerably increased in size. In 1759 the Airthrey Estate, including most of the land in the area, was purchased by the Haldane family. By 1791 income from the estate was enough for Robert Haldane to commission Robert Adam to construct the impressive castellated mansion he called Airthrey Castle. The estate's copper mine ceased production in 1807. 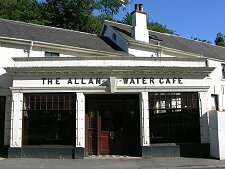 But in 1813 mineral springs were discovered leaking into the mine workings and in an inspired piece of lateral thinking the Laird of the day, Sir Robert Abercrombie, decided to turn Bridge of Allan into a spa town. It has never looked back. 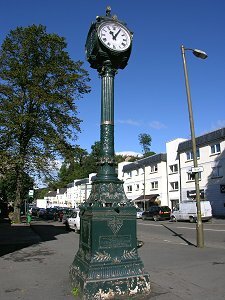 Abercrombie organised the rapid expansion of the town, and he employed Robert Stevenson to look after the engineering side of supplying the mineral water to the spas and baths he created. 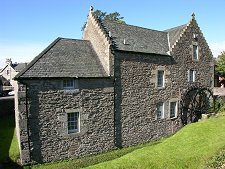 By 1830 one visitor said that Bridge of Allan was "everything a village ought to be: straw roofed cottages, a mill, old inns with entertainment for man and horse, and a row of neat little villas for the fashionable who flock to it in summer." By this time visitor numbers were estimated to be 30,000 each year. Four stage coaches ran each day to Perth and Stirling, and one to Glasgow; and horse drawn omnibuses ran four times each day to Stirling. 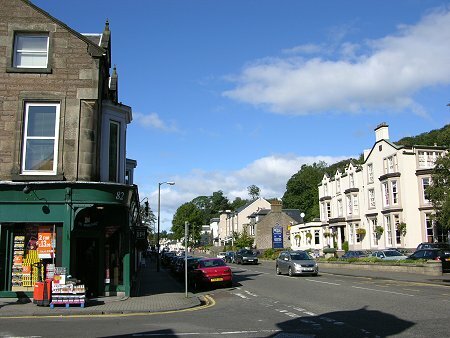 The arrival of the railway from Stirling in 1848 en route to Perth led to considerable further expansion of the town. 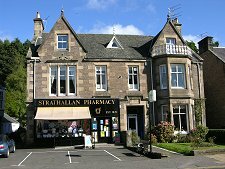 At its height as a spa, Bridge of Allan had five hotels and over 120 lodging houses - the Victorian equivalent of the B&B. 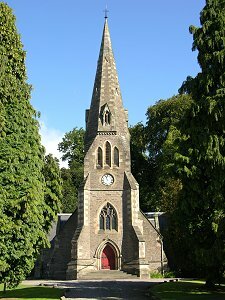 By 1900 the omnibuses to Stirling had become horse drawn trams; the Scottish Lawn Tennis Association held its championships here; a golf club had opened and a variety of accommodation; and the Wallace Monument had been completed nearby in 1869, adding further to the area's attractions. One commentator of the day said that Bridge of Allan surpassed Stirling as a centre for tourists. In 1889 Airthrey Castle, still standing in its huge grounds to the east of the town, was extensively rebuilt and extended. But this was nothing to the changes that were to follow. In the 1960s Airthrey Castle was acquired by the newly founded University of Stirling. They retained the castle buildings as offices, and in the grounds around it built an entire campus university, one of the most attractive and best landscaped in the country. Stirling University continues to expand and it says much for the scale of the castle grounds that there seems scope for continuing expansion for some time to come.